Heading up the team at Motorsport Systems is Rich Benton. Rich has worked in the Motorsport industry for twenty-five years. Previously he had served an apprenticeship in the Royal Air Force as an Aircraft Technician working for ten years on Hawk and Tornado Aircraft. As one of the founders and directors of Powerstation UK Ltd., Rich honed his knowledge of electronics and engine control systems on a vast array of different race vehicles. He initially worked as a dyno operator in the early 90’s on carburettor equipped vehicles before, in 1995, moving onto race car electronic management systems. In 1999 he became one of only five Motec dealers in the UK, subcontracting himself to Motec as a support engineer for the British GT championship. He has worked as a data engineer for many teams, including customers in the USA and the Far East. For the last seven years he has worked as a race engineer, running a variety of different cars in championships such as the British GT Championship, Blancpain Championship and the British Touring Car Championship. He has also worked with McLaren on their Pure McLaren project, engineering cars across Europe and the Middle East. 2017 saw Rich engineer the championship winning partnership of Seb Morris and Rick Parfitt Jnr. 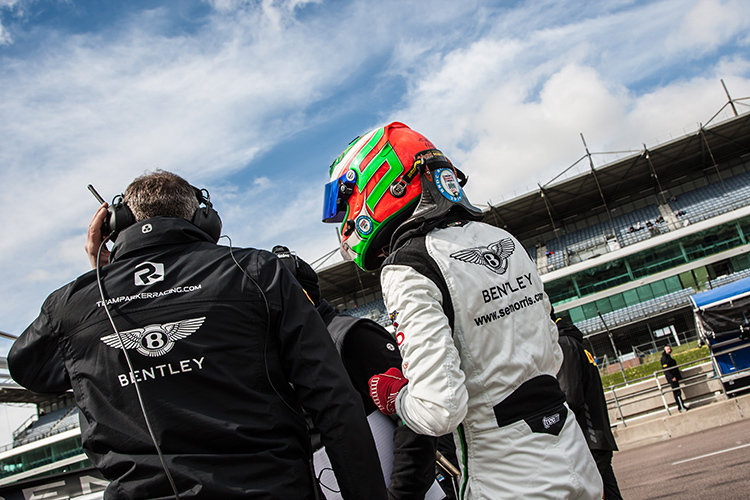 in the British Gt Championship using the Bentley Continental GT3. In 2018 he race engineered for Sam Tordoff in the British Touring Car Championship and this year he is once again involved in the BTCC, acting as Race Engineer for Nic Hamilton in the Focus RS. Motorsport Systems Ltd. was formed because of Rich’s close links with Bosch Motorsport. Having dealt with them over many years with Powerstation, Rich formed Motorsport Systems to continue this relationship. He always strives to give his customers an excellent service and can advise customers upon products from an “engineers” point of view. He is always willing to assist customers with product support and has an understanding of the various time constraints prevalent in the Motorsport Industry.